With the problem of pollution increasing day by day, people have to come up with new offenses to fight this disaster. So, the scooters and the two-wheeler companies of India has come forward with electric scooters to decrease the air pollution problem. The electric scooters have stunning looks and the run on a chargeable motor which is connected to a chargeable battery. They consume power of 250 watts. Another thing about this scooters is that you do not need to do a registration for them and neither did they require any license to ride from the RTO. It takes around 6-8 hours to charge fully and a full charged scooter can run up to 50km comfortably. The scooter is light weight so it is easy to handle for the person riding with perfect balance. There are literally a lot of such scooters in India. Here we are going to discuss about the top 10 electric scooters in India. Hero Moto Corp have come up with Hero Electric scooters which are light weight and very good option for people searching good electric scooters in India. One of the leading models among them is Hero Electric Zion. Some of the brilliant and hottest features of the scooters are BLDC motor, vibrant color options, and the latest technology. It gives you a mileage of 45 km with a single charge and the top speed of the scooter is 25kmph. The motor when charged generates a power of around 0.33 bhp. The drum brakes are there for better control over the scooter. When you are talking about the electric scooters in India, Yo is one of the leading names present in the country. Yo Xplor is one of the better products of the company loved by the youth. The color combination of the scooter makes it more attractive. It gives you a mileage of 60 km with a single charge and the top speed of the scooter is 45kmph. The 33Ah battery and the 250 watt motor adds to its strength. One of the most efficient scooters in India with great features like drum brakes and telescopic suspension is Hero Electric NYX. There is another great feature which is the dual split seat which helps the riders with a good amount of space for their legs and also for storage. The 48V battery and the 250 watt motor adds to its strength to its features and with every full charge the scooter runs 70 km. The company is famous for making scooters for different age groups. They are making electric bikes and scooters from 2011 and they made this scooter GO GREEN BOV especially for the school going students. The best features of the scooter is it runs 120 km with each full charge. One of the most famous two-wheelers company in the country TVS has also come up with its own range of electric scooters. They are all set for the launching of the hybrid bikes which run on both petrol and electricity and TVS Qube is going be their first such model which will have both electricity and petrol as fuel options. The scooter will have features like a four-speed transmission combined with its electric motor and a 100 cc petrol engine. This company is very new to Indian market but it has an amazing range of electric scooters which can run up to 40 to 50 km on a single charge. You don’t need a registration or license to ride these scooters. Some of its best features are pillion footrest, 40Ah batteries, and automatic gearbox. Yet another Hero model gets added in the list. It gives you a mileage of 70 km with a single charge and the top speed of the scooter is 45kmph. There are two driving modes in it, power and economy, which you can change according to your comfort. The scooter weighs around 111 kgs and the motor, when fully charged generates a power of around 0.33 bhp. Some of other features include polycarbonate headlamp and digital odometer. 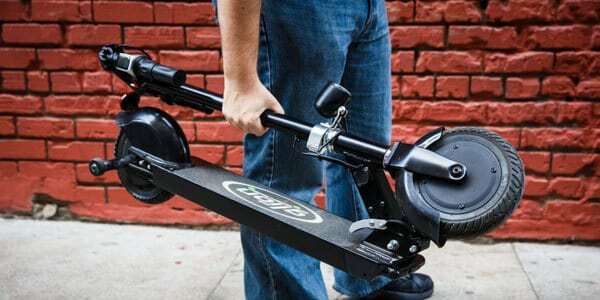 Easy to handle scooter which can be controlled very easily on very crowded or bumpy roads. The 900 W motor helps the scooter to reach its maximum speed which is 45 kmph and also not to forget that it runs 60 km on a single charge. Some of its amazing features are multi-reflector headlamps and telescopic front suspension. This another new and efficient model from hero with a 250 watt motor and a 20Ah 48 V battery, which runs 70 km on a single charge. The stylish look of the scooter is one of its brightest features. Sleek body and aerodynamics are the best features for this scooter which is yet another gem from Hero. It gives you a mileage of 80 km with a single charge and the top speed of the scooter is 45kmph. Some of its other great features are advance throttle mechanism, sensor braking system, and its powerful motor.